Okay so months after the fact I am finally telling the tale of our Canadian Beer Travels v2.0. This time we spent our entire trip in BC and managed to get ourselves to both days of the Great Canadian Beer Festival (GCBF). Unfortunately our trip was delayed by one week, meaning we didn’t get to explore the “northern” BC breweries, and I was also quite lazy with my tasting notes on this trip. As always we couldn’t make it everywhere and there were many other places on my list that just didn’t eventuate. Hopefully I was consistent (will soon find out when I delve into the scribbles in my beer notebook) in my laziness which should equate to a ‘meh’,’ thumbs up’,’ two thumbs up’ style rating (I know, lazy!) and hopefully my memory serves me well. It is worth noting that even the ‘meh’ rated beers were drinkable - they just didn’t do much for me. 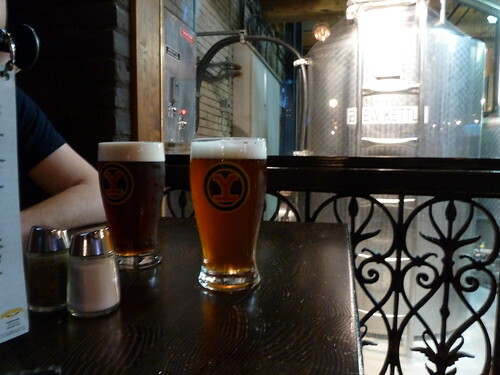 Once again our travels began in Vancouver and our first beer excursion was to Yaletown Brewing Company. Brick and Beam IPA: Citrus notes, hoppy, true to style. Two thumbs up. Downtown Brown: Malty, smokey/burnt aromas. Thumbs up. After some study of the public transport routes, convincing the other half that his appendix was okay and a walk through a street on the outskirts of Chinatown at night (other half was quite sceptical about where I was leading us) we made it to my new favourite place, Alibi Room. 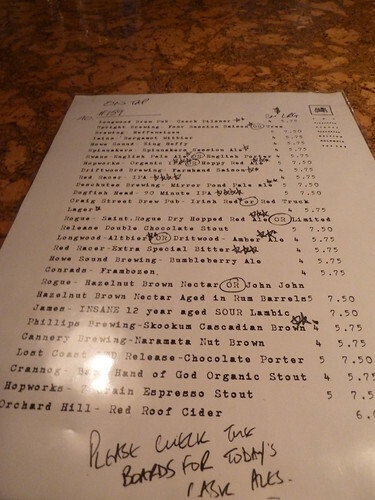 The tap list is constantly changing and this picture shows you a list of the beers that were ON TAP (the reverse side was their bottled/cellar list). Central Brewing Red Racer IPA (thumbs up) and Red Racer ESB (two thumbs up and possibly the standout beer of the trip), Hopworks Hoppy Red Ale (thumbs up), Cannery Brewing Naramata Nut Brown (two thumbs up). 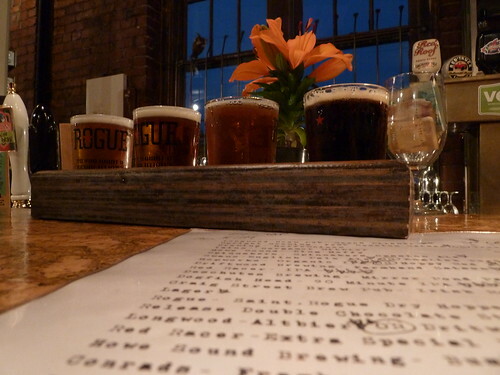 The ESB (surprise surprise) and Naramata Brown were then drunk in a slightly larger glass. I eventually moved to the Crannog Back Hand of God Stout (thumbs up) which is rather out of character for me. 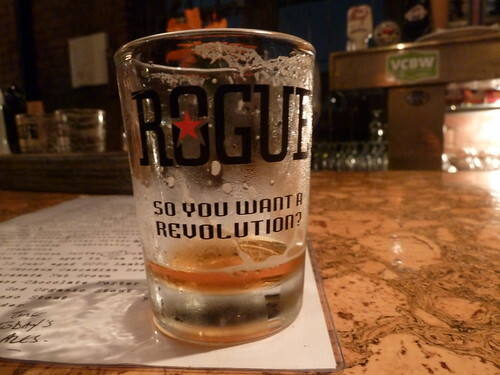 (I’m still gutted that we had to cancel our visit to their brewery/hop farm.) This stout had an aroma of toasted oats. 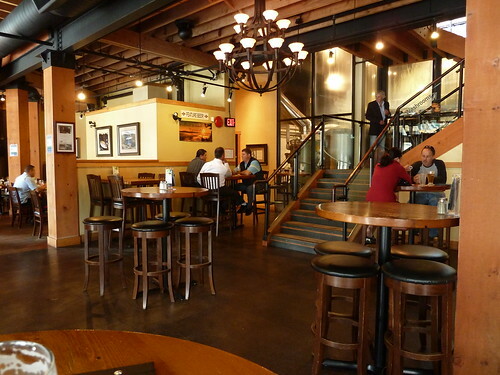 With lunch on UBC campus we had a Granville Island Pale Ale (between meh and thumbs up). Was good for a Pale Ale and for the occasion. 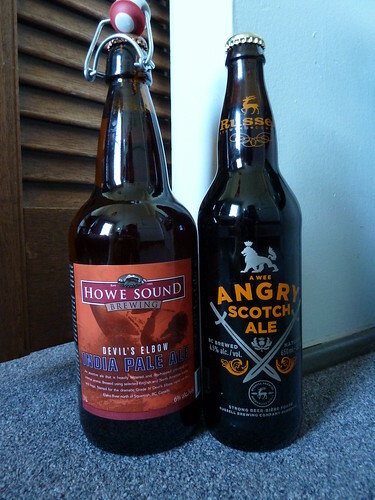 Then our love affair with the Howe Sound bottles began. 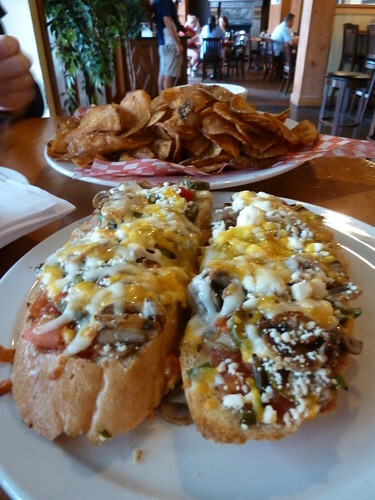 Lunch in Kitsilano where all the cool kids go, on a very hot day. Granville Island Brockton IPA – all I noted was fit for purpose so I think it qualifies as somewhere between meh and thumbs up. It was cold, we were minutes from the beach and it was very hot out. And it went well with the food! The beer drinking halted for a few days while we kayaked Johnstone Strait with the Orcas and stayed at Port Hardy either side of the kayaking. Port Hardy had a BC Liquor but we never managed to make it there during opening hours. 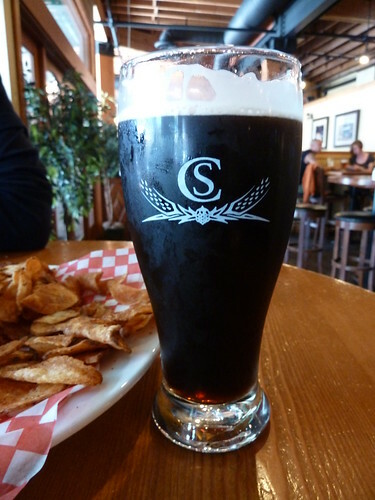 Vancouver Island Brewing Spyhopper Honey Brown – meh again, some creaminess? We then continued to drive south (ish) toward Victoria. After some ummm-ing and ahh-ing we took a very slight detour to Duncan which was well worth it. 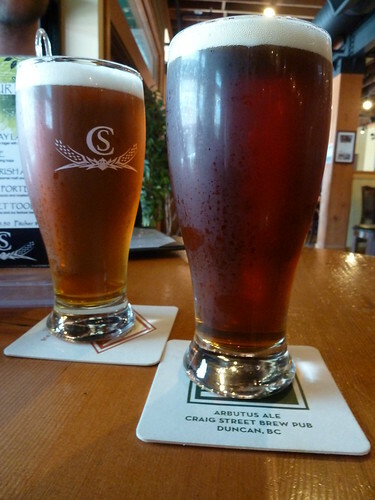 Duncan is not a large town but it does have the Craig Street Brew Pub. We would go back there anytime! 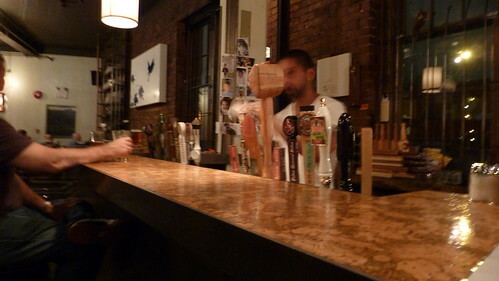 We also happened to show up on cheap pint day :) Excellent. Also ordered snacks which were AWESOME. Gourmet Cheese toast and Cajun spiced cactus cut chips, served with creamy garlic cheese dip (was like having kettle-fried potato chips but hot).